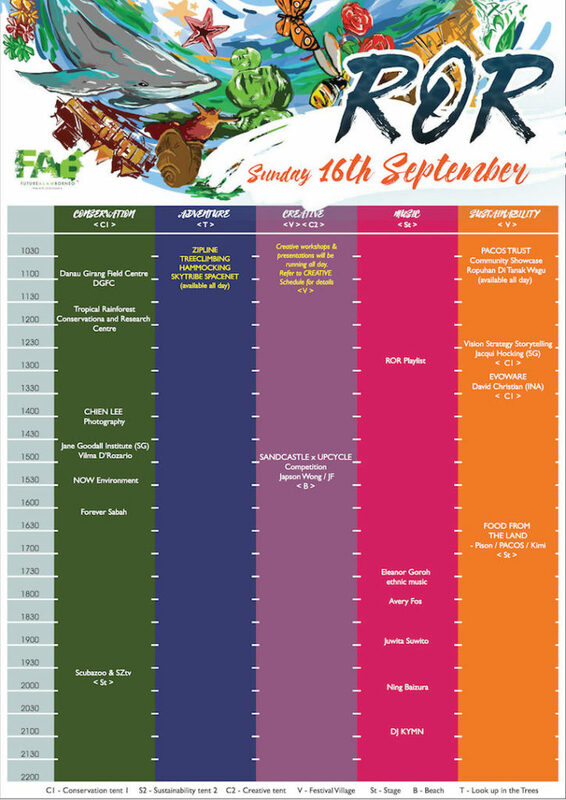 ROR2018 The Borneo Rhythms of Rimba (ROR) Wildlife Festival is back on 15th – 16th September 2018. The 2 days festival is organized by the Future Alam Borneo (FAB) society from Sandakan, Sabah, a not-for-profit effort, with a vision of being a global platform for environmental ideas and innovation. Started in 2014 in Sandakan, on the east coast of Sabah Borneo, ROR has been supported annually by the Sabah state government, and a multitude of international and local conservation and corporate organization. 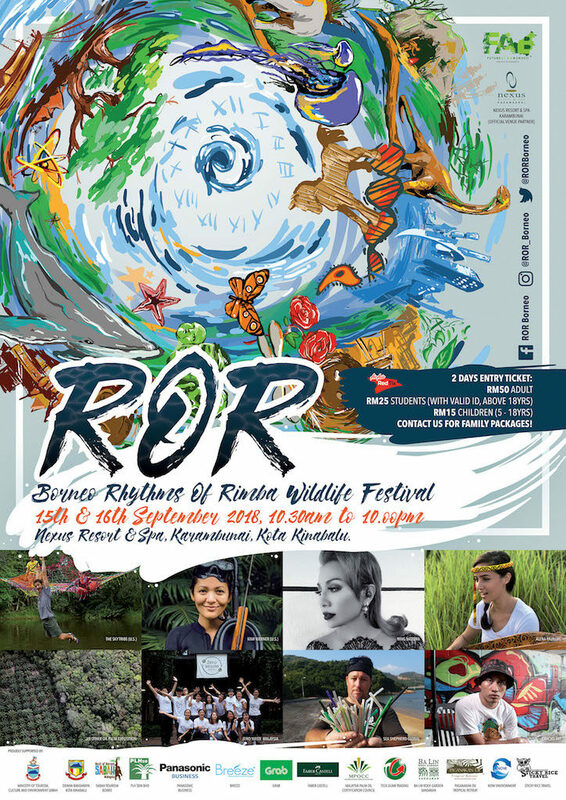 The 4th edition of Borneo Borneo Rhythms of Rimba (ROR) Wildlife Festival makes its first appearance at the beautiful Nexus Resort at Kota Kinabalu. The 4th edition of ROR will highlight Marine Environments, the pervasive impact of Plastic Waste, and the quest for a Sustainable Planet. Focusing predominantly on wildlife, habitat and sustainability issues here on the island of Borneo, it brings together local conservationists, academics, creatives as well as International contributors who can offer radical solutions to our land and the encompassing problems. 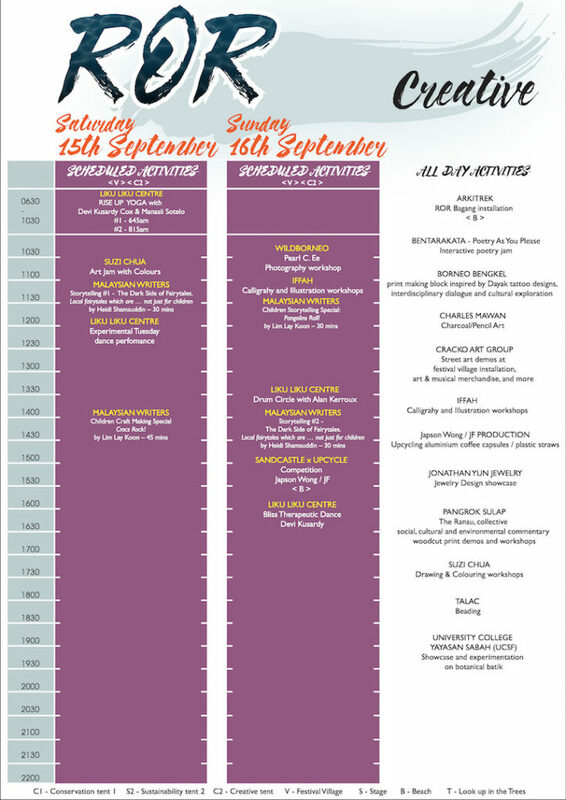 Engage with exhibitors from local & international CONSERVATION bodies like Sabah Forestry Department, Sabah Wildlife Department, HUTAN, Bornean SunBear Conservation Centre, WWF Sabah, Sea Shepherd Asia (HK), Jane Goodall Institute (SG), Reef Defenders, Scubazoo and many many more wildlife and habitat conservation organizations. In Adventure zone, Skytribe, (formerly Moab Monkeys) based out of the majestic desert of Moab, Utah in the United States,a group of professional athletes, filmmakers and high angle riggers based out of the majestic desert of Moab, Utah in the United States will also be working with a local eco-architect Arkitrek to reinterpret the Bagang – a traditional anchovy fishing structure – into a place of play, performance and conservation. Be sure to experience this exhilarating installation. Hang out with friends from the global movement The Big Canopy Campout up in the forests and take that all-important tree hugging selfie! Or just fly between trees on our exhilarating zip line experience. Join designer Jonathan Yun Jewelry as he launches his marine-inspired collection on our FAB Bagang in the CREATIVE zone. If family fun is your thing, register for the upcycling Sandcastle building competition – featuring upcycle artist Japson Wong and The Trashpacker. 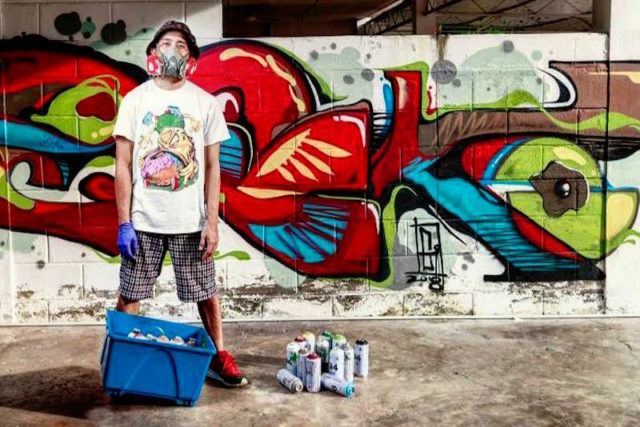 Other fun-filled family activities include interactive craft with creative workshops run by Pangrok Sulap, Cracko Art Group, Borneo Bengkel, and more. 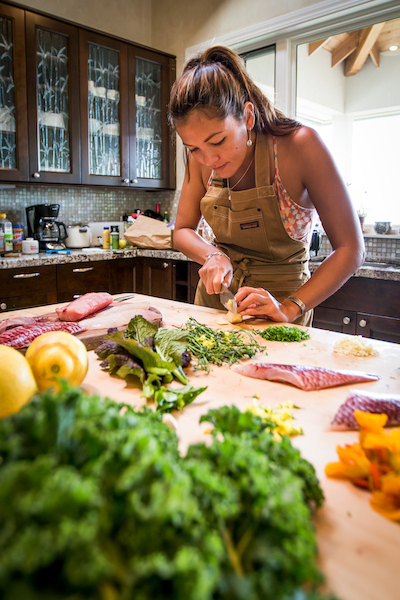 This year’s Sustainability highlights include guest speaker Kimi Werner a decorated spearfishing and free diving champion from Hawaii, with 2 documentary series featuring her adventures on National Geographic Channel & Discovery Channel. She will be sharing her life living in harmony with the planet, as well as engage with our community group PACOS Trust on cooking! Jacqui Hocking, Forbes 30 under 30, a 2-time TEDx speaker, co-founder of VSStory and the Singapore Eco Film Festival, an environmental filmmaker who has captured stories all over the world, will be crossing the oceans from Singapore to share her passion for the environment and ideas to bring conservation to the commercial world. All the way from KL will also be friends from Zero Waste Malaysia & Sampah Menyampah movements, sharing how to lead a low waste, low carbon footprint life. 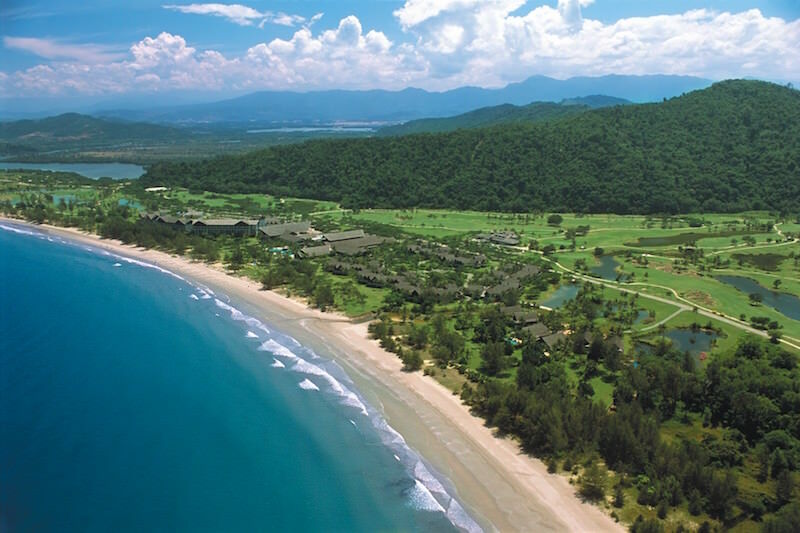 Wrap up each evening with the sounds of MUSIC in the perfect natural setting of Sabah. Lighting up the stage this year will be bintangs in our night skies, Ning Baizurah, Juwita Suwito, Rozella, Beverly Matujal, and others. 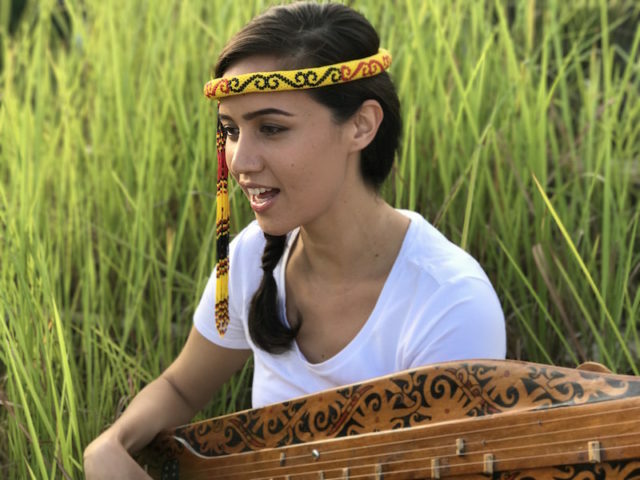 A special, first-ever performance in Sabah will also be Alena Murang who will bring her blend of sape magic to our shores. 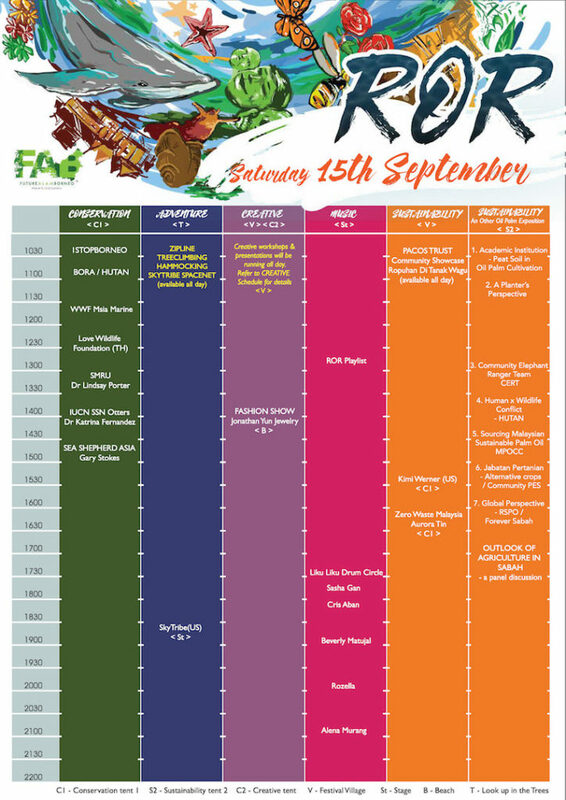 With over 50 content providers, spread across 2 days on the beautiful beachfront venue of Nexus Resort & Spa, Karambunai, Kota Kinabalu, FAB firmly believes the ROR experience will transform your outlook on our planet earth; how it is both our playground and home and needs our urgent protection.